Heritage Park of North Iowa is hosting a “Horse and Mule Event with a Civil War Enactment this weekend in Forest City. Organizer Keith Kyle says the gates will open at 8am this morning. Kyle says Saturday afternoon will be full of events. There will be a Civil War Dance held Saturday evening at 6pm. Sunday begins with a church service at 9am with the Cannon Old West Society returning at 10am. Admission is via a souvenir button for $8 which is good for both days. 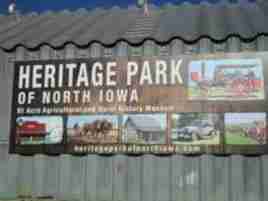 For more information, go to heritageparkofnorthiowa.com or call (641) 210-8231.